It’s 8pm on a rainy Wednesday evening and you’ve invited friends over to kick back, smoke a bowl, and Netflix-and-chill. Like that’s never been done before? Right around 15 minutes after the last joint smoked the subject of food comes up. The question is: do you order a pizza or check the kitchen cabinets? 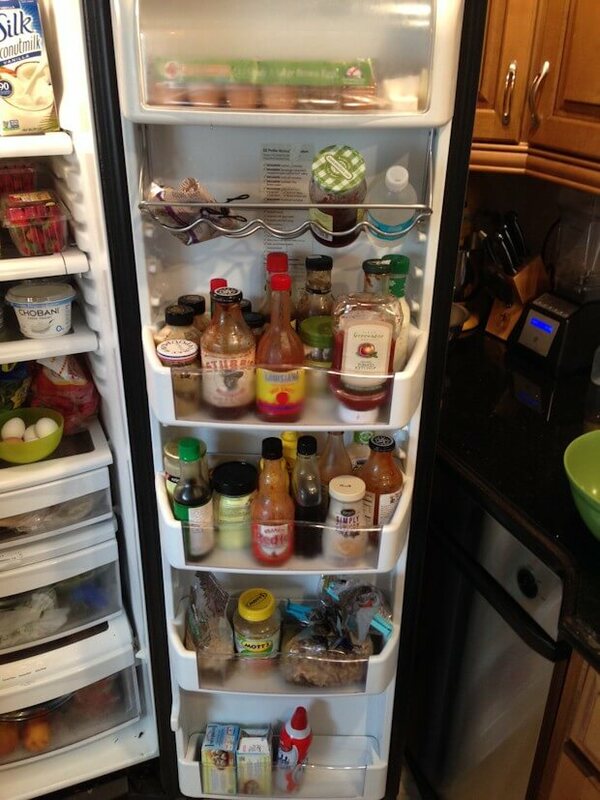 Most of us would steer clear of the kitchen, especially if there’s no food that would satisfy your munchies. You know what I mean, the stuff that instantly pops out at you with bright colors and high sugar content. These foods are quite high-friendly. Some examples might be: Tombstone Deluxe Frozen Pizzas, Strawberry Pop-Tarts, or Sour Cream and Onion Pringles. Sure, you could go through all 64 individually wrapped slices of Kraft American cheese, but what you really want is a meal to satisfy your munchies. You don’t have any good food you say? Quit crying and take a closer look. 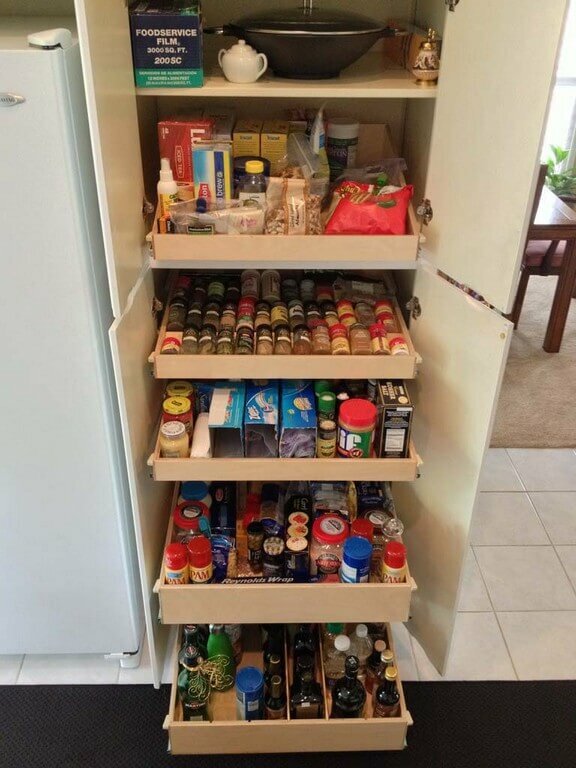 Most of us have lots of food in our cabinets that’s been there for several months. This could amount to a feast in most third world countries. We’ve just been too finicky, or too lazy, to actually cook something, or just hit the bong too much. How do I know? Because I’ve been there, man. 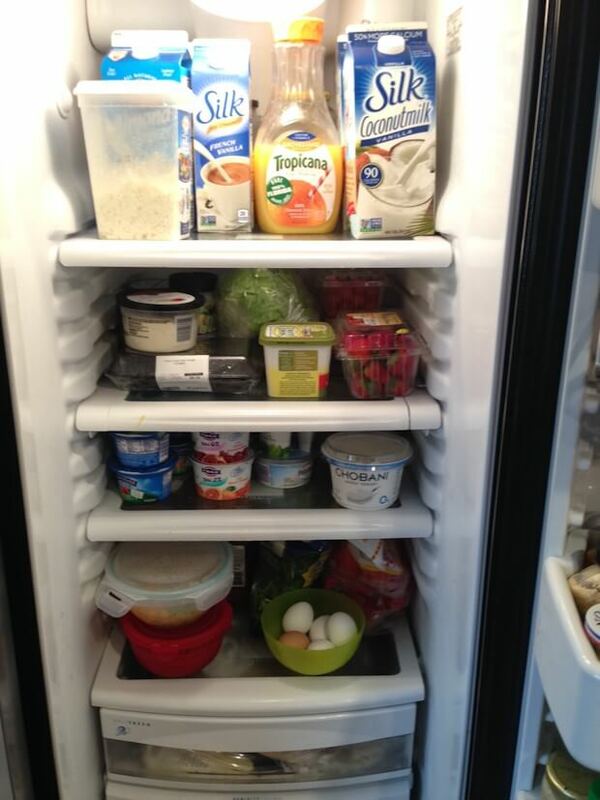 Below you’ll see a few pictures taken of my fridge and cabinets. Below them, in no particular order, is a basic description of their contents. Use your imagination and create the best meal possible. Entries will be judged on menu depth, creativity, and overall yumminess. Just e-mail us your meal with a breakdown of how each dish is put together. Make sure you use only ingredients specified below. Water bong, water pipe, chillum, glass piece. These are all terms that different cultures use to describe glass art pieces for smoking cannabis. Using a water pipe has the advantage of drawing THC laden smoke through water, both cooling the smoke as well as filtering out and purifying some of the carbon associated with any kind of organic combustion. 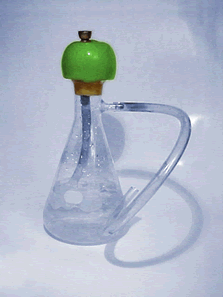 (Fig 1) From top: Erlenmeyer flask, green apple, cinnimon, pipe & bowl, tubing. Personally, I like to smoke from a small, thick glass dab rig, but for entertainment, it’s always better to have something festive; something that all your guests can share. 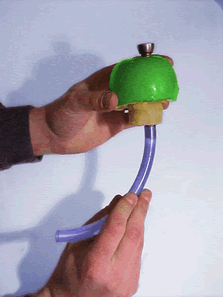 The apple bong we’ll be building today was specifically designed for social entertainment- for the small, friendly gatherings that make this season that much more bearable for you and those close to you. All sessions should include regular social bong smoking etiquette to ensure everyone is happy when testing your new homemade bong! We’re going to start out by gathering the pieces you will need. First grab a flask, available online from Edmund Scientific. Many times, eBay has interesting laboratory glass and antique glassware clear or colored, which adds a festive aura to any gathering. It’s best to use a Pyrex bottle; Pyrex is pretty much unaffected by heat or cold, and tends to be stronger glass than some of the other brands. 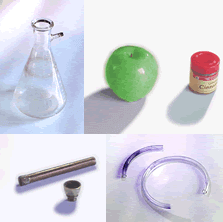 Most flasks are available in a variety of sizes. We want the 2000 ml size. 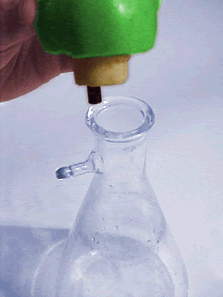 (Fig 2) Sizing the apple to fit the flask. We’ll begin by sizing the apple in relation to the neck of the Erlenmeyer flask. (fig. 2) The apple will likely need to be carved to fit; I like to use a paring knife, but any will do. 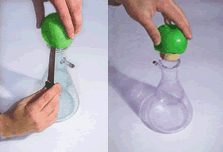 It is important that the apple form a tight seal at the top of the flask, but not sit so deep as to obstruct the opening of the intake tube. After the apple has been sized to the neck of the bottle, place it on a maple cutting board; be sure that the side you just carved is facing up. 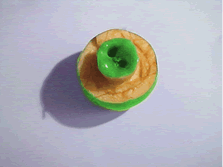 Carefully push the section of pipe through the bottom of the apple. The pipe should be off centre- not through the core. After pulling the pipe free, you’ll have a single hole going from the bottom of the apple all the way through to the top. You can clean the apple bits that you find lodged in the pipe with a bamboo skewer or a swizzle stick. Repeat this procedure so that you have two holes in the apple, one on either side of the core. Now that you have the apple prepared, drive the pipe through the first hole, being sure to leave the threads at the top of the apple, and clear of any apple bits that may have stuck to the metal. Depending on the size of your pipe, you may need to attach a bit of plastic tubing. (fig. 4) The pipe, with or without the tubing, should reach to the bottom of the flask. It’s important to draw the smoke through as much cold water as possible. A shorter pipe will require more water in the flask, leaving less room for the chilled smoke to expand. (Fig 4) Inserting pipe and adding extension. Attaching a two to three-foot length of plastic tubing to the air intake on the flask will give the pipe a range of use that will be ideal for a useful centerpiece. I like to decorate the hose with ribbon and raffia. This is the secret to the best bongs and it will make it seem that much more special. Your bong is nearly ready to fill, now. Go to your sink and carefully fill your centerpiece. You want to fill the flask with an inch or two of water, just above the tubing inside the piece. Try to experiment with ice cubes, cold water or other beverages to change the taste of the smoke. The more volume occupied by water, the less space available for the cooled, expanding smoke. 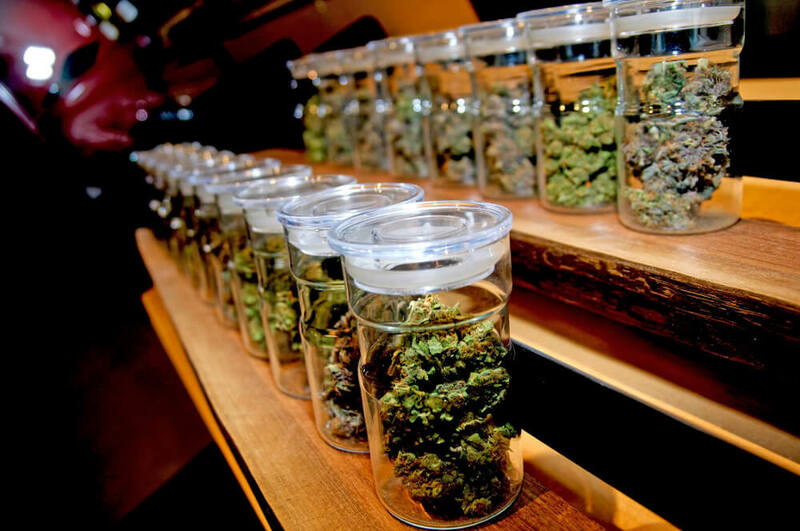 If your guests are inexperienced smokers, or if your cannabis is particularly harsh, more water may be needed. Make these calculations in advance. No one likes to have to make adjustments once the festivities have begun. The rastafari often ad a mint leaf or two to their chillum to gently flavor the smoke, but we’re going to use cinnamon, in keeping with the theme. Stir about a half of a teaspoon of powdered cinnamon into the icy water contained in the flask. Perhaps a stick of fresh cinnamon bark could be added, but be careful not to go overboard. Carefully fit the apple, pipe and all, onto the mouth of the flask. For holiday parties, I like to pin a sprig of holly to the apple. The final work of art. Feel free to add any decorations or garnishes to fit the special occasion. Upon proper setting of the apple, prepare a brass bowl with a fresh screen. 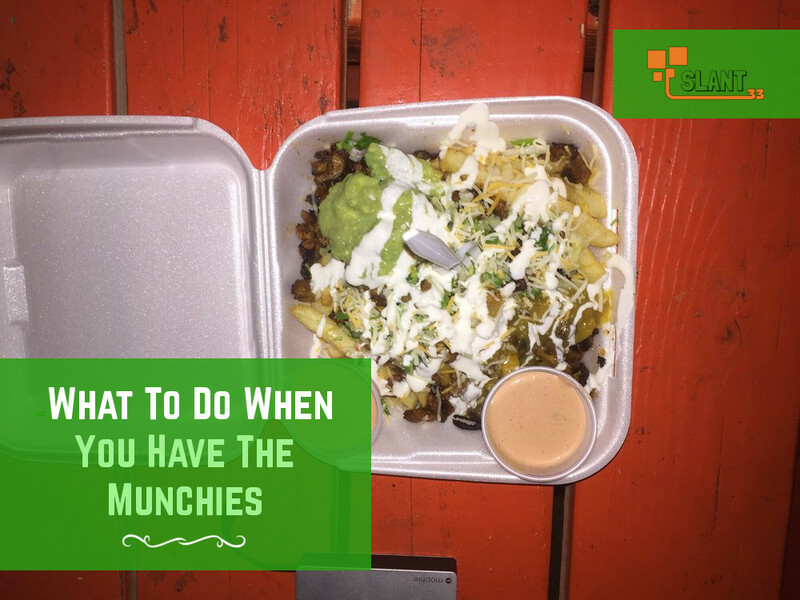 Keep extra cannabis nearby but keep the portions small. You can always replenish the stash throughout the evening. Leaving just a few bowls on your table keeps your guests from being flippant with your greenery. 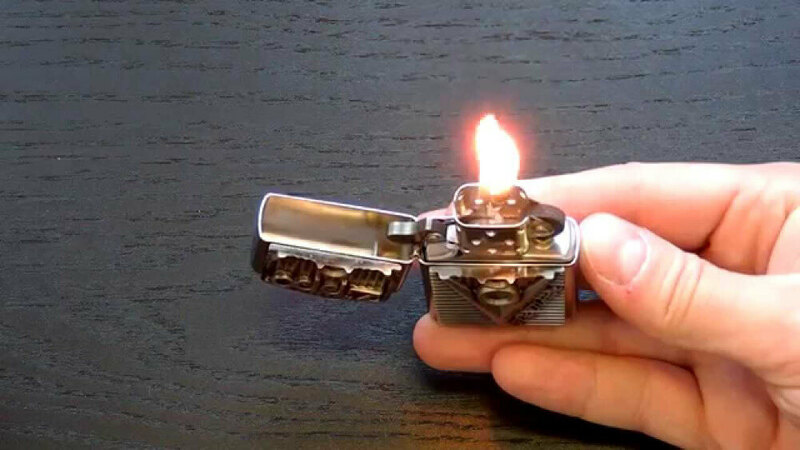 I like to keep a barbecue lighter nearby; this too can be decorated with raffia and ribbon to match your waterpipe. To use your pipe, carefully cover the hole on the top of the apple with your finger. Placing the intake tube into your mouth, gently hold the flame of the lighter about an eighth of an inch over the top of your bowl. Inhale gently. You’ll see the smoke from your bowl travel down the pipe, through the fresh water, and into the open area above the water. When you can no longer see through the flask, extinguish the flame. Inhale the smoke. You’ll notice the slightest taste of apple pie as you exhale the smoke through your nose. Exhaling though your nose is the best way to saturate your mucus membranes, allowing the cannabis‘ active ingredient THC into your blood stream. Ideally, your bong should still be holding several dozen cubic inches of smoke; carefully pass the intake tube to someone special – they should not need to light the bowl, and they will benefit from the extra time the smoke has been cooling for. Warn them that the cooler temperature of the smoke will increase their lung capacity. They may feel a tendency to choke due to the cold smoke. Spending time creating an interesting and awesome custom bong is always best when you share the moment with your friends. With your new bong, you will create memories that will last a lifetime. We’ve all been there. You’re at a party, in a weed bar, or on the couch and you’re in a big conversation, high as hell on cannabis. For a while, you’ve got it under control. Both parties are making their points and everyone is on the same page. But then it gets awful. Suddenly you realize you don’t know what the hell the other person is talking about. You momentarily put down the pot brownies and think. Did they make a weird segue a few moments ago that you missed? Maybe they were talking about the first time they had tried cannabis? Or the time they lost their lighter? Who cares, you can’t even remember what you were talking about. At about this time the other person is staring at you. It becomes apparent they’ve said something that requires some sort of response. In these situations, you can do one of two things. The most immediate reflex is to raise the white flag and retort, ‘Dude, I’m so high. What are you talking about?’ But we are more refined than that. That’s why we’ve created this post with the top responses that will fit into any social high conversation. Even if they don’t make sense, they’re abstract enough to confuse the listener. When that happens, the person will think that they’re the ignorant/high one. At that moment, you’re in the clear. Don’t trust us? Try some for yourself. 1: Yeah, you really got to know what you’re doing. 2: Aren’t you a little high for that attitude? 3: Dude, I’m a physicist…not an engineer. 4: I had a puppy, once. 6: That reminds me of a movie I saw. 8: Man, it’s all ball-bearings these days. 9: I’ve got a guy for that. 10: ‘Tis a crazy world we live in. 11: Yeah, I heard something similar like that before. 13: I’m sorry, what did you say, your voice was echoing in my noggin for a second or two. 14: I hate to interrupt, but do you have a mint or any eye drops? 16: Yeah, that’s like that movie with that actor, in that foreign country, with that girl… what’s his name again? 19: Dude did you bogart my Lighter? 22: Would you like a drink of water? 23: Yo, we need some more weed! 25: Life is too short to drink cheap wine. 26: Did you ever wonder how magnets work? 27: Dude, where’s the bong at? Got any more? Lets us know in the comments! 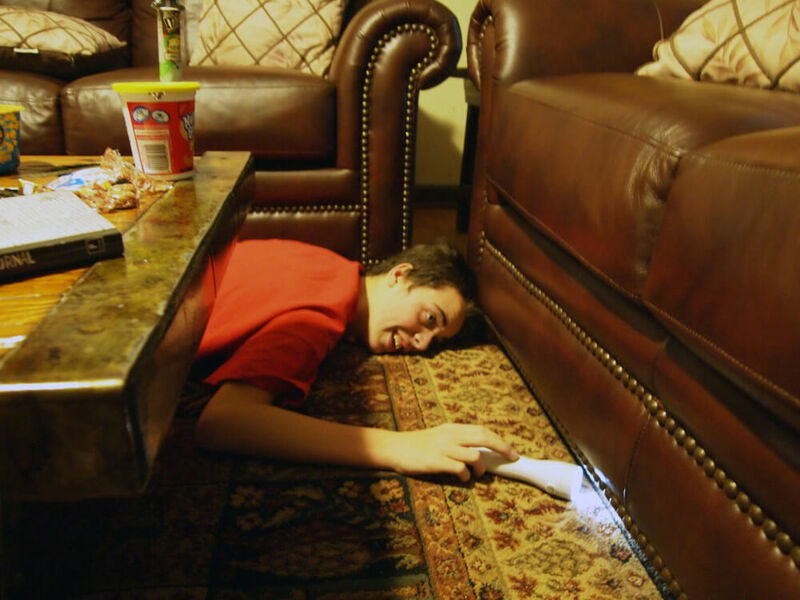 Realizing you’ve lost your lighter can be a frightening experience. One moment you’re in bliss, the next moment you’re in a world of crazed pandemonium. The shock and confusion has even made people seek help through grief counseling. We want to help you through this painful ordeal with our easy-to-follow guide. 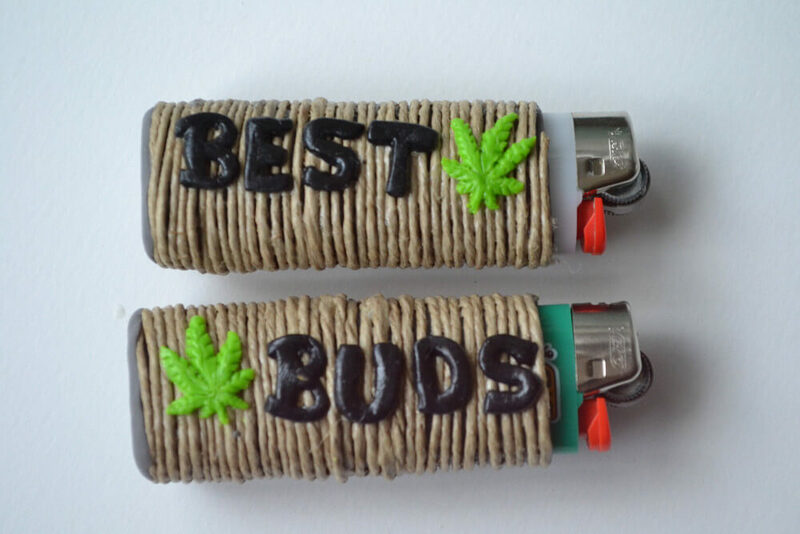 Remember what your lighter looks like. Look under all couch cushions near the bong. Accuse friends of stealing your bic lighter. Check under the cushions again, careful for your water pipes!! Look in your left hand. 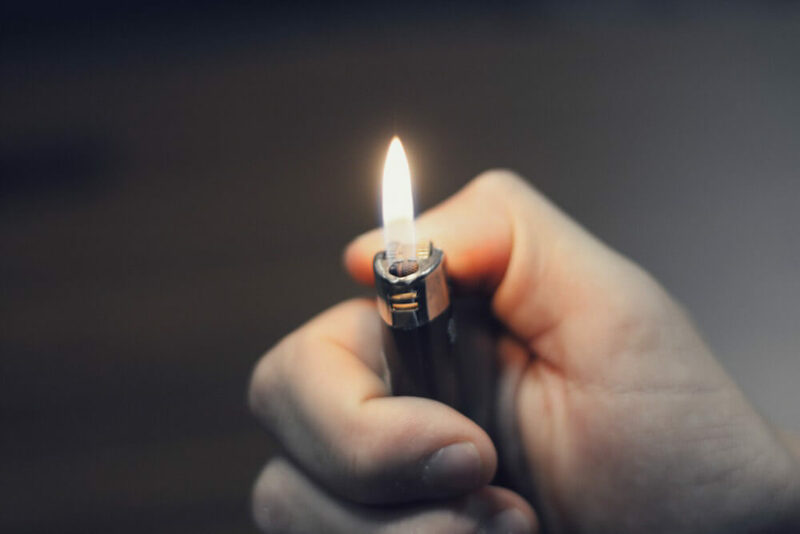 Let us know where you found your lighter! 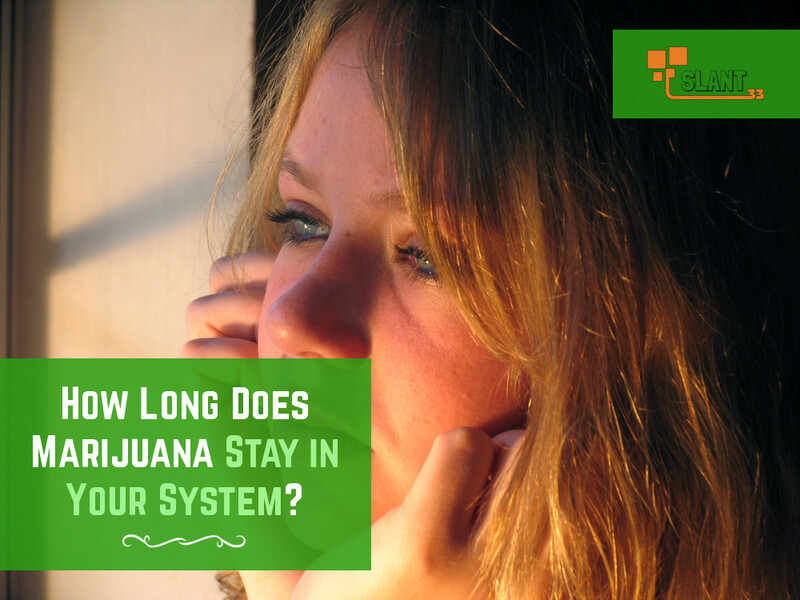 Have you been feeling extremely nauseous, throwing up, or experiencing any abdominal pain after you smoke Cannabis? You might have something called Cannabinoid Hyperemesis Syndrome. 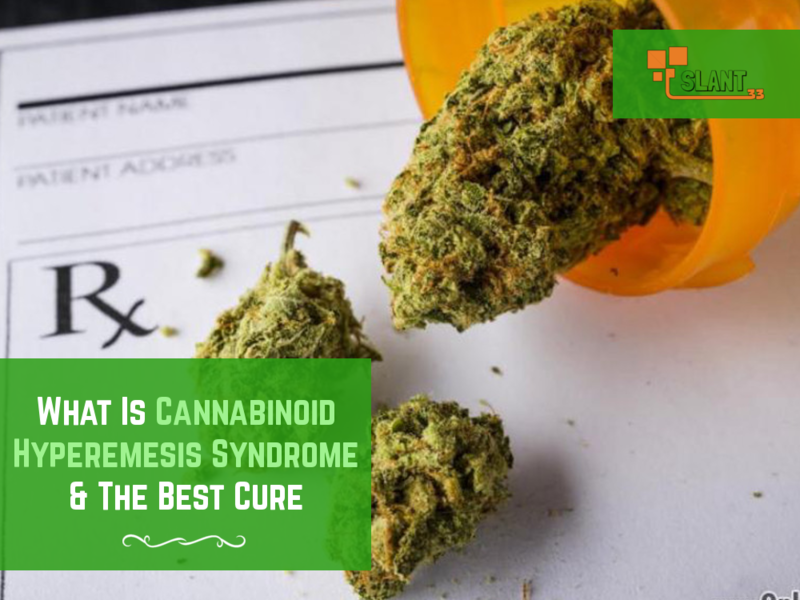 Cannabinoid Hyperemesis Syndrome (CHS), discovered in 2004, is a condition usually found with heavy marijuana smokers that leads to extreme nausea, vomiting, and abdominal pain. If you smoke at least 20 days in one month you can be considered a heavy cannabis smoker and you should be looking out for this symptom because it may affect you. A recent New York cannabinoid hyperemesis syndrome study of heavy cannabis smokers found that about one third of smokers reported symptoms pointing to CHS. The study also reported that users were able to relieve their symptoms with a simple trick—a hot shower. If this study is valid, and it can be replicated, then an estimated 2.7 million Americans could be experiencing cannabinoid hyperemesis syndrome. This cannabis syndrome could be the reason why you are feeling sick. This almost unheard-of syndrome has doctors hypothesizing the causes of CHS and why hot showers relieve people’s symptoms. “Essentially, patients who use marijuana very frequently for long periods of time—usually at least six months, probably most of them have been using for several years—develop sort of intractable abdominal pain and vomiting that sort of comes and goes over the course of days to weeks.” Dr. Kennon Heard told WBUR. Dr. Heard is a professor of emergency medicine and pharmacology at the University of Colorado School of Medicine. “CHS is concerning for people who have it, but it is not a major public health hazard.” Dr. Heard explains to WBUR. Doctor Heard believes the frequent use of cannabis in high doses are to blame for cannabinoid hyperemesis syndrome. Dr. Kennon Heard said the high doses causes changes to receptors in our body, making them dysfunctional, eventually leading to pain. CHS is a relatively new syndrome related directly to cannabis and needs to be studied further before any conclusions can be made. Doctors have always known that any long-term use of drugs can result in nervous system and brain changes. In fact, it is common knowledge that endogenous cannabinoids, the compound inside our bodies that is very similar to compounds found in cannabis, are important for regulating and controlling the body’s pain system. 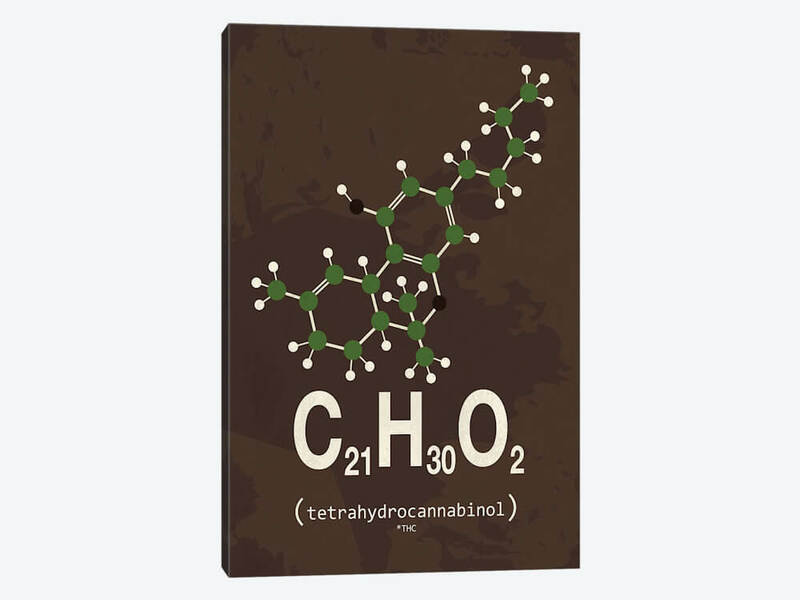 One idea for the cause of cannabinoid hyperemesis syndrome is the long-term consumption of tetrahydrocannabinol, or THC. The long-term use of THC alters your body’s pain system enough to cause symptoms of CHS. “Something in the pain system is disturbed by having THC around all the time,” Heard told Live Science. This is still just a hypothesis. In fact, most doctors don’t know the exact cause of cannabinoid hyperemesis syndrome. This is somewhat alarming because medicinal marijuana is usually prescribed for cancer patients, who are undergoing chemotherapy, that suffer from nausea and vomiting. This condition will never be a serious threat, but it can really limit your experience and cause unwanted ER visits. “something we see in our ER several times a week, if not on a daily basis,” Herd told Live Science. Fifteen years ago, Dr. Kennon Heard was skeptical if CHS was a real condition. Now he believes cannabinoid hyperemesis syndrome is a condition everyone should be aware of. If you are suffering from CHS and would like immediate relief, don’t be worried, there is a simple solution—a hot shower. If you’re feeling the symptoms of CHS it could be because you just smoked some Cannabis. If your nauseous or have any abdominal pain, its time to jump into a hot shower. This is the only known cure for cannabinoid hyperemesis syndrome right now. So why does a hot shower cure CHS? Hot showers always leave you feeling relaxed and fresh due to the water temperature and sensory signals set off. This is the main reason why a hot shower is a good cure for CHS. The hot water produces different sensory signals that then interfere and distract your body from other pain signals. 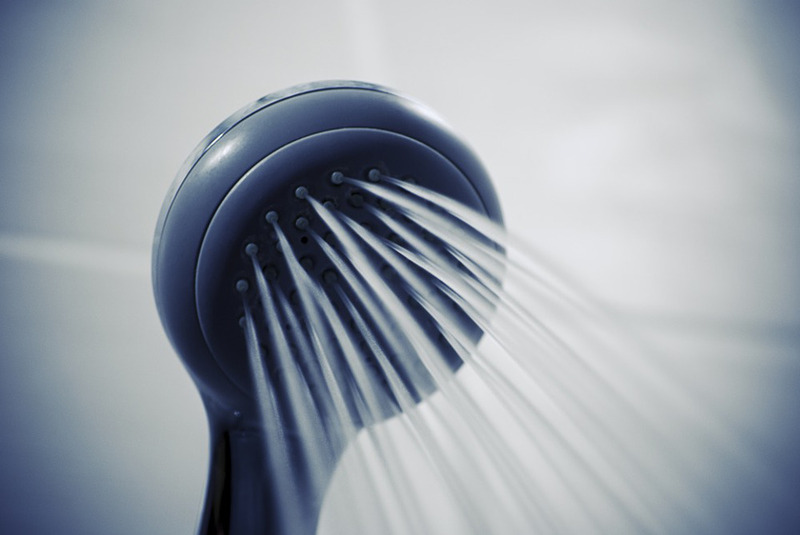 Hot showers are a distraction for your CHS symptoms, providing you with instant relief. This of course is not a permanent cure for your conditions. If you are looking to permanently cure your cannabinoid hyperemesis syndrome then put down the bong and STOP SMOKING CANNABIS. This is the only known permanent cure. In fact, Dr. Heard’s co-workers discovered that nighty seven percent of patients had stopped experiencing CHS symptoms after they had quit smoking marijuana. Tired of the same old casual routine of getting high and staring at the TV? 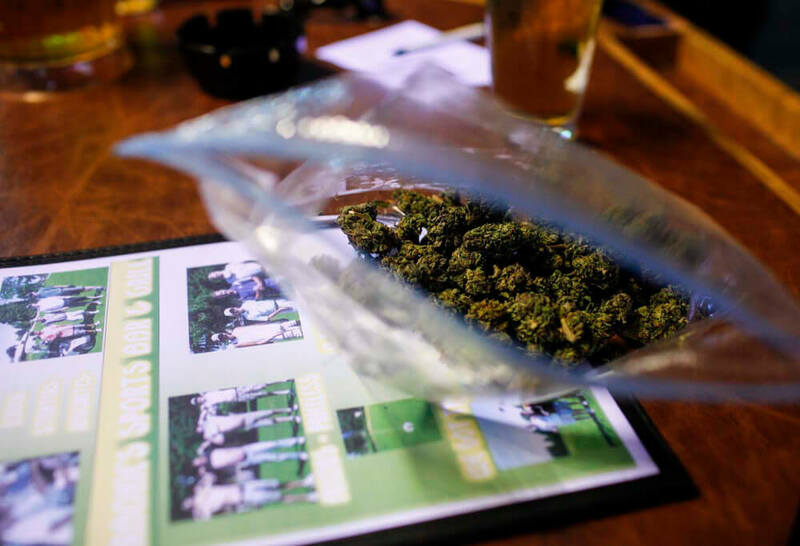 Learn how to turn a normal night of pot-smoking into a social event. You don’t have to host a fabulous dinner party for a get together with friends. Let us entertain you with our glow art idea. Ok, I know what you’re thinking. Why does everything involved with smoking marijuana have to end in the viewing of florescent colors? Well… why not? I mean you’re here so you obviously enjoy the consumption of weed. And, as smokers, we all know how enjoyable bright lights and fun colors can be. So, sit back and relax. Bake your pot brownies, munch down and come along. 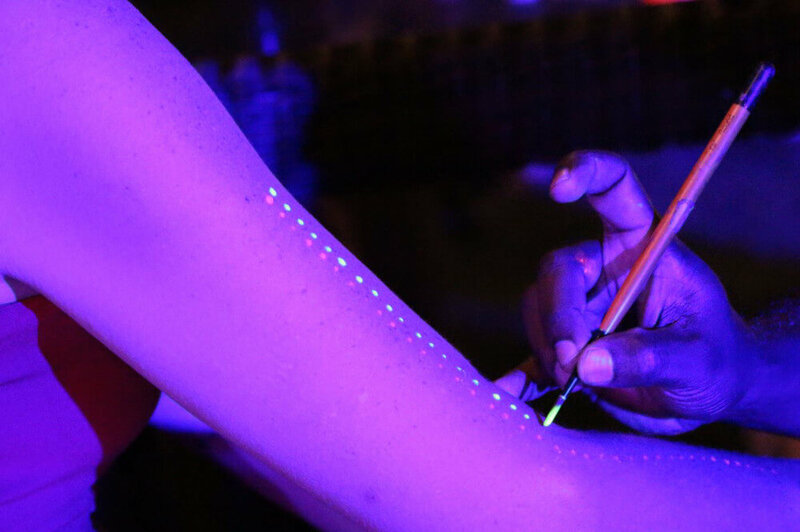 That’s right, come join me in our high idea of Glow Art Graffiti. Oh.. you’ll love this. 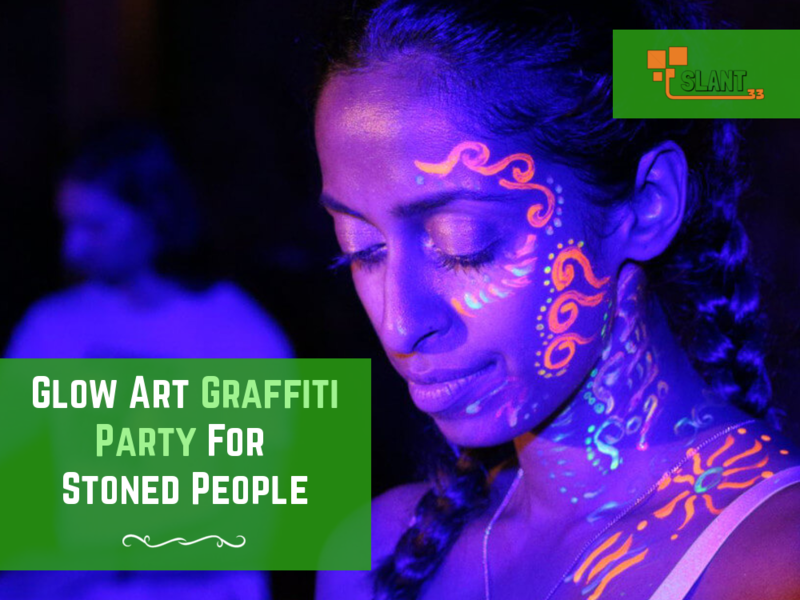 Basically, this involves you and a group of friends getting together and creating some high art! Lock yourselves in a room and paint the walls, the floor and each other. What could be better! Make a guest list of 5-8 friends to join you. When creating this list, you always need to take into consideration the personalities of the people who should be invited. People with a wild sense of adventure are ideal. Invite guests who play nice with one another. Make sure you tell your guests to come wearing all white clothes that they don’t mind getting dirty. Or, you could be a very gracious host and provide white t-shirts for everyone. You make the call. Remember, the clothing can be part of the art. 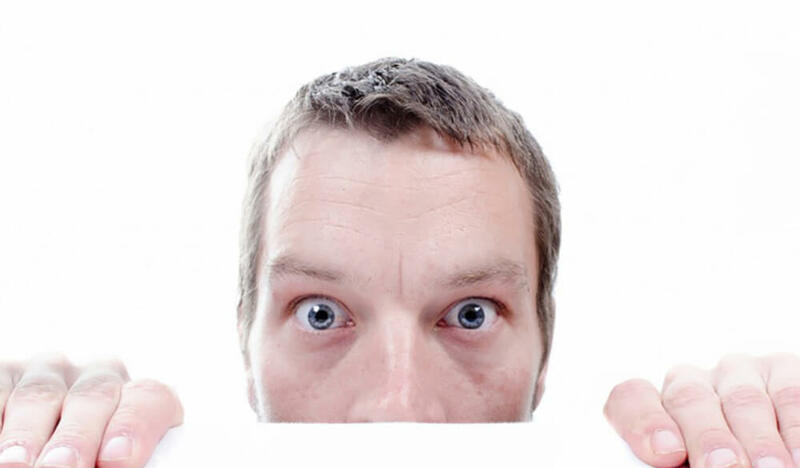 Another tip here is the element of surprise. This is my personal favorite. Tease your guests in your invite as to the night’s activities. But don’t tell all. This will allow them to relish the anticipation. You’ll also benefit from the ‘teasing element’ as you spend hours creating the ‘fear of god’ factor in your friend’s minds. Okay, that was a little evil. Now it’s time to head on down to the art store. Go nuts. Acrylic works best. Think florescent, bright. Choose colors that look good under normal light as well as black light. Get a variety of brushes and painting implements. Sponges work well for texture. Think big too. You have a lot of paper to paint. If you have the cash, be creative and buy a few cheap bongs that you can paint with your friends. The night has come. Before your guests arrive, prepare the paint room. You’ll need to tape up sheets of the white paper. Where? Everywhere you stoner! The walls and the floor are the most important areas to cover. Double-check the room to make sure you didn’t miss anything. Now you need to figure out where the stereo and bar area should be. You could just prepare a cooler with a variety of drink options. More serious bar connoisseurs might want to create a small bar with glasses, ice, and all the necessary mixers and liquors. If you go this route though, don’t be cheap. Bring on the shots. I’ll take a chilled Jägermeister! Find a good spot to place the black light. Paint, brushes and sponges should be placed in all areas of the room for ready access to all participants. 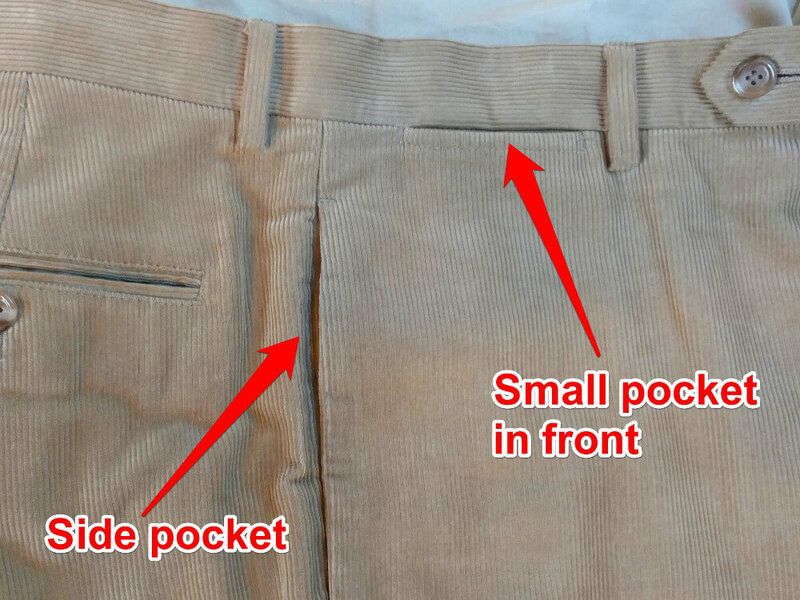 Just in case you’re stoned right now… I’ll include this important direction: Put your pants on. Remember… wear white! Greet and prepare your guests. 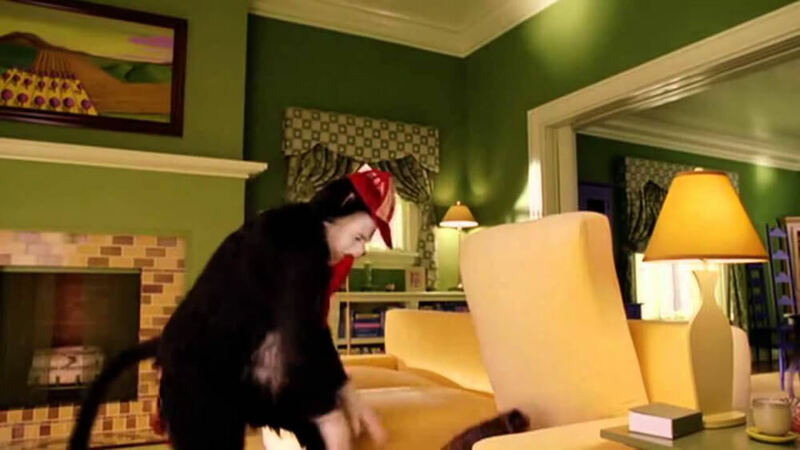 When your guests arrive, make sure they’re properly prepared for the evening’s activities. Smoke a fatty… have a drink… locate all the lighters… whatever feels right. If you’ve taken my suggestion on the surprise element, now is the time to describe the idea to your friends. I’d do this once they’re in the room. Make a group decision on what type of music is preferred. Usually, your baked guests won’t want to make any major decisions at this point in the evening. Neither will you. This shows us how important pre-party planning is. So… prior to your guest’s arrival, select some music options to present to them. This will shorten the decision-making process and allow your party to reach the next level… so to speak. Ok, must I have to tell you everything? Get the stereo cranking, pour another cocktail and get painting! Go nuts. When done, you and your guests will be able to marvel at the work you’ve created. Here’s a tip: let it dry before you take it off the walls. The next day you must make a judgement call: Does this look as great now as it did while high? 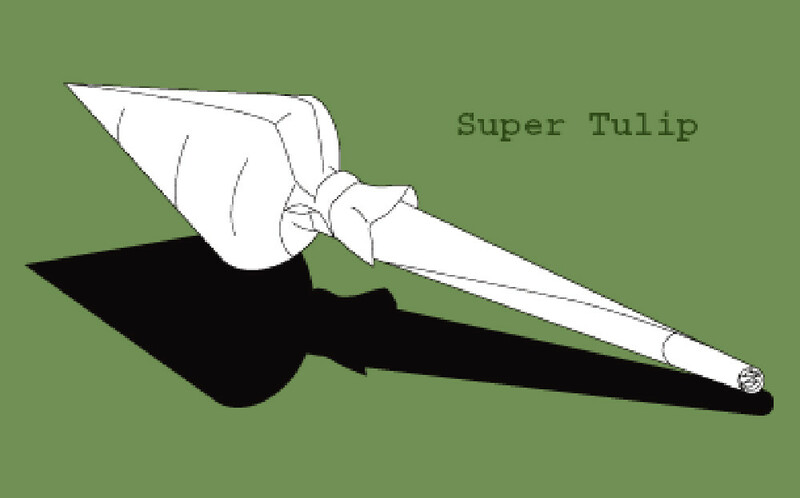 If so, cut apart the most elegant pieces of the work. You can then frame them as gifts for your guests. High Art! Please send us pictures from your party. Show everyone your high art. You’re out drinking, enjoying the beautiful night, and a friend pulls out his latest coolest bong. This thing is gigantic and has at least two percolators. The bong looks super trippy because of the intense colorful glass art inter laid inside the bong. That’s great, your ready to join your friends, but your social bong smoking rituals are a bit rusty. How much should you smoke? How hard do you inhale? 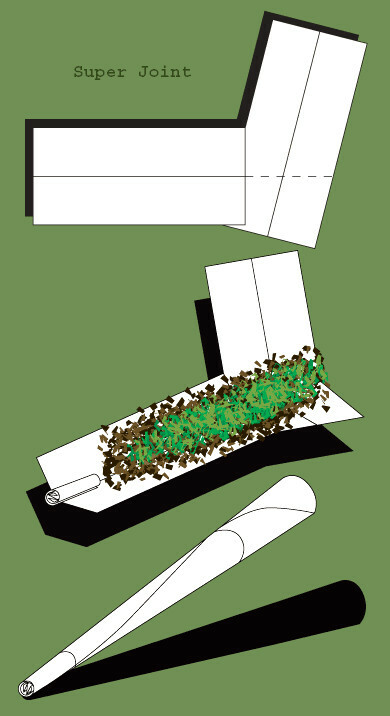 Do you break up the cannabis before loading it? Who do you pass next to after taking bong rip? 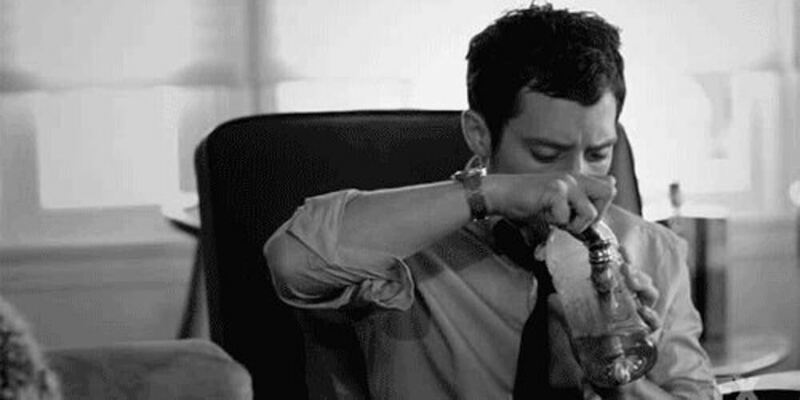 If you are not too familiar with social bong smoking, we have created this post to help you remember the top 5 things when you’re out smoking a bong with friends. For those who don’t know what cornering is, it means lighting a small portion, or a corner, of the packed bowl, to preserve the ‘greens’. You do this because you want to give everyone in your smoke session the chance at a flavorful and tasteful bong hit. Cornering is usually only done on glass bongs and glass bowls. When you corner the herb, you make sure the flame stays on the edge of the cannabis, on one side of the bowl, while you are inhaling. 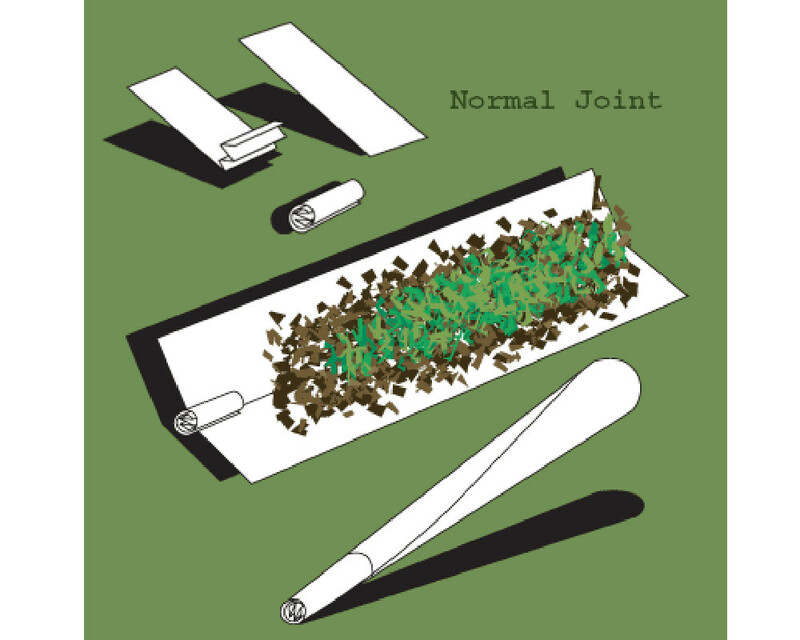 This will cause only a portion, or a corner, of the finely ground buds to light up, leaving plenty of ‘greens’ for your friends to burn. 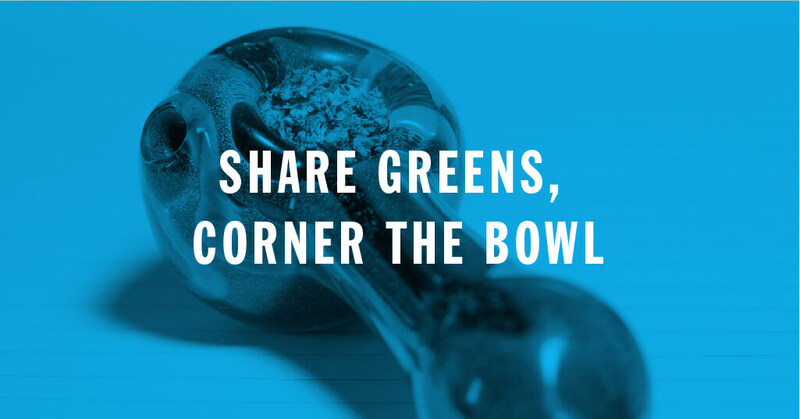 Cornering also allows the bowl to last much longer, as apposed to torching the bowl, where you could possibly, in one hit, leave nothing but ashes for your friends. Hemp wick is also known as hemp string, hemp wire, hemp line, and beeline. This was recommended to me by a chronic smoker who I have been friends with for many years. He uses hemp string for every smoke session and stands by it. 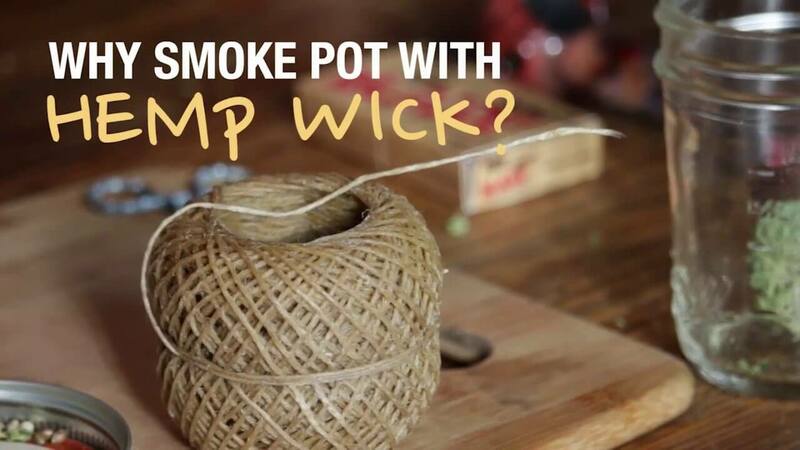 Hemp wick is made with a coat of bee wax, preventing it from burning quickly. This allows you to have a constant candlewick-like flame always lit and ready to be passed around with the bong. Not only does this make it much easier than a lighter, it also gives you a much better tasting bong rip. When your ready to share that fruity delicious blueberry haze or that bubble hash with your friends you’ll want to use hemp wick. It definitely gives you a smoother hit and it makes your hit much tastier. 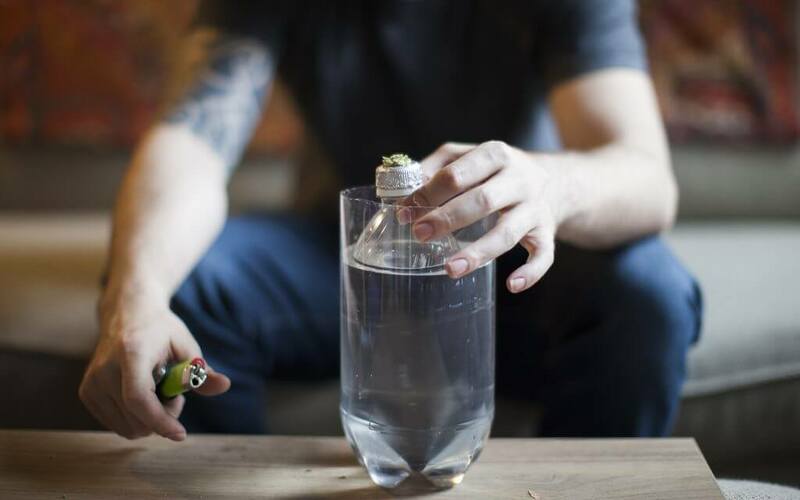 If you’re about to sit down and rip the bong, please check to make sure you have the right amount of water in your bong. This is easily done by filling up the bong with some water and inhaling as if you were about to smoke. If you didn’t get any backsplash of small water droplets add some more water. When you start to feel the small water droplets as you are inhaling then you know this is the max the bong can be filled with water. Keeping just the right amount of water in your bong is important for the best and smoothest rips. If you add too little you will leave everyone coughing up a lung or two, too much and everyone will have some great tasting bong water in their mouth. When you have to sit there and dedicate one person to break up the buds it can be quite annoying, especially in a social situation. Everyone is excited and pumped to taste this new buds you hyped them up with, but now they have to wait while you break up the flowers. Breaking up your buds is important when smoking out of a bong because it allows the buds just enough oxygen to fully burn through, and burn quicker, when you take a rip. This means you don’t have to be sucking the life out of the bong and it is much easier to corner the bowl. A grinder is handful in social situations because it can break up your flowers in just a few seconds. There are many different grinders available, plastic or metal they all get the job done much faster than a person can. Grinders also break up the buds consistently and allow you to collect the crystals that drop when the buds are grinded. You don’t need to kill yourself in one hit. Inhale lightly, obey your limits and don’t give yourself a headache. If you have ground the flowers then there should be no need to inhale very hard. If you are having a hard time inhaling then this means either the bong is clogged, or most often, that you just threw a nug into the bowl. 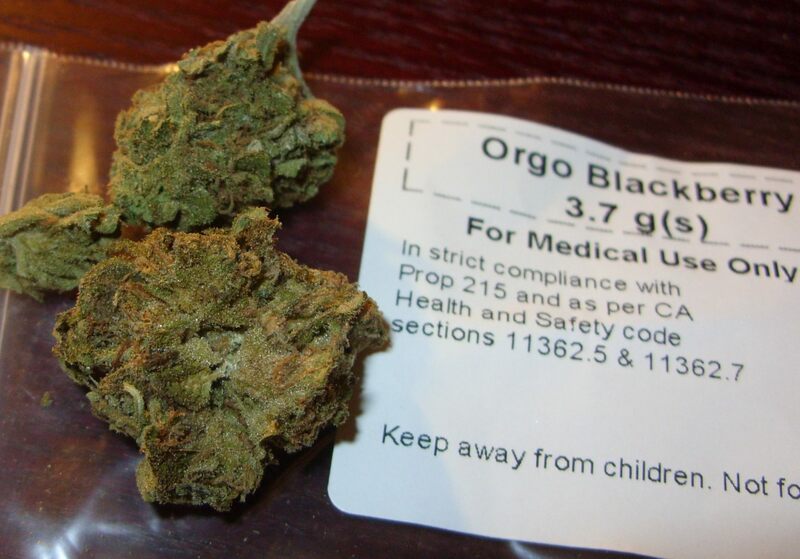 A dense nug has virtually no oxygen flowing through it, how do you expect it to light? You need to break up, or better yet grind up, your buds before you pack the bowl. When you inhale too hard, it makes it much harder to clear the bong when you finally pull the slide. Don’t take every hit like it’s your last. Bongs are designed to filter the smoke with water. When you smoke a bong, the water breaks up the smoke particles and holds back the dirty and unhealthy parts. This is the source of the dirt and grime your bong has only a few uses. The slide eventually develops gunk and can cause trouble when clearing hits. To prevent this, you will need to keep your bong clean. After all smoke sessions, it is always good to clean your bong. Do not be lazy and allow the grime to collect, this will only make it harder for you to clean it later. If you let the grime collect you will also notice that your bong hits are extremely harsh. This is because, when you take a hit, some of the grime detaches when you are inhaling, changing the taste of the smoke. This means it is time to give your bong an iso bath. Great, now that you have caught up on your old bong smoking habits, it’s time for you to go find some friends and share your amazing buds or oils. Bong sessions have got to be one of my most favourite things to do with friends, I hope you get the chance to share such an experience yourself. 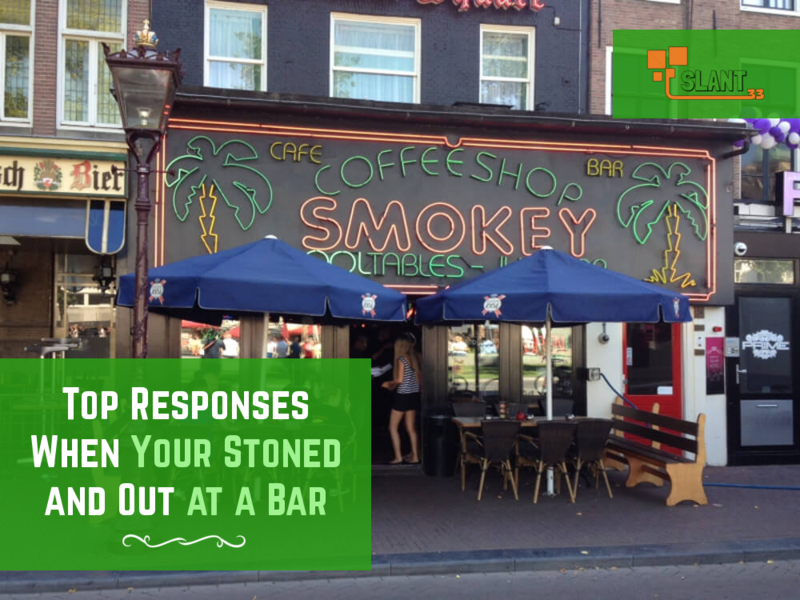 Share within the comments what you recommend for others when they are out smoking with their friends.